So so much to see, plan to pack your lunch!! 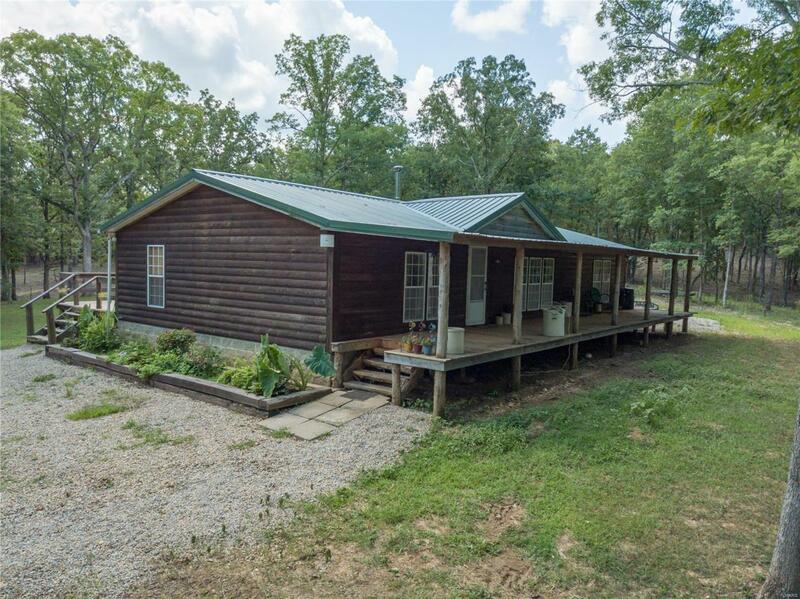 Rustic home in the woods has everything you need, even Big River Broadband. The custom kitchen has tons of cabinets with granite counters, convection oven range. The Osburn high-efficiency wood stove will heat the whole house. The 20 x 40 barn with 220 electric has concrete floors in half, and a chicken coop is at the back. There is a 12 x 40 lean-to for the tractors and an additional 8 x 16 greenhouse located at the raised bed garden area. A small orchard with 2 apple trees, 2 peach trees, and a plum tree, elderberry bushes and blueberries has recently been planted. The pole barn is started and some of the materials to complete are included. The 56 x 8 covered deck overlooks the pond and the 12 x 40 deck is at the rear. This amazing property in Central school district is only 2 miles from town and about the same to St Joe State Park! This is a hunter's paradise!! Look now while you can. Listing provided courtesy of Goodson Realty. Listing information © 2019 Mid America Regional Information Systems, Inc.